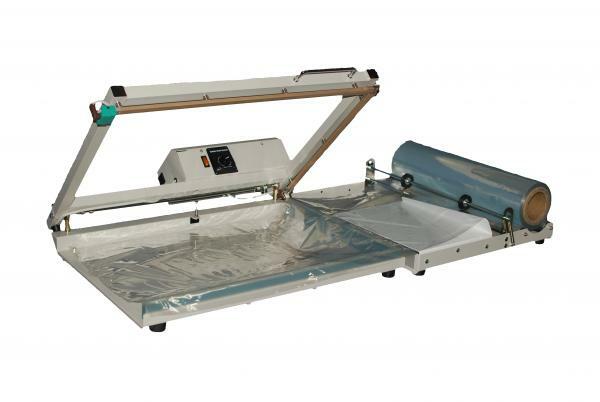 One-step fast acting shrink wrap system for P.P., P.V.C., P.E. Materials. Unit makes 2 seals at one time with energy saving timer. 340mm x 340mm bars seal and cut film up to 0.025 mm thickness. 500 Watt power, seal time 1 ~ 4 seconds. System includes: film dispenser rack.